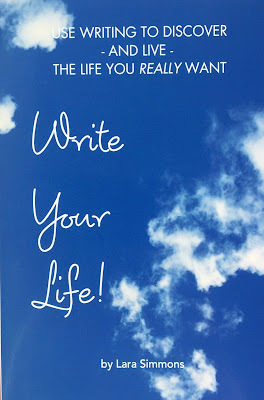 Published in February of 2016, "Write Your Life" is my first book. Based on a class I taught in 2011 (and again in 2012) at Seattle's East West Bookshop, "Write Your Life" guides you to discover - and live - the life you really want through a series of meditations and writing exercises. Over a four-week period you will become more present to your life, tune into your intuition, let go of the past and, of course, write your life! Then in the fifth week and beyond you will be given tools to create the life you have written. So, come on, BUY A COPY, then grab a journal and your favorite pen and START a new life today, WRITE a new life today - WRITE YOUR LIFE! 10% OF ALL PROFITS FROM THE SALE OF "WRITE YOUR LIFE"
28 Days of LOVE the eBOOK!